Greet each month with a smile with our popular 2018 and beyond customized large wall calendar. 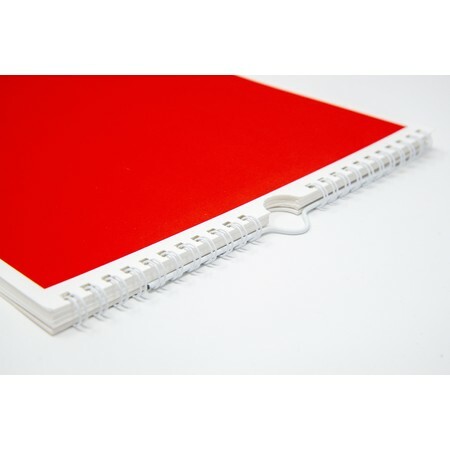 Keeping track of appointments, school events, birthdays, anniversaries and family gatherings has never been easier. Our large calendar is 9 inches by 17.25 inches and includes an 8-inch by 7-inch image for each month. Printed on ultra white premium paper, our large wall calendar leaves you plenty of space to keep track of the important dates in your life. 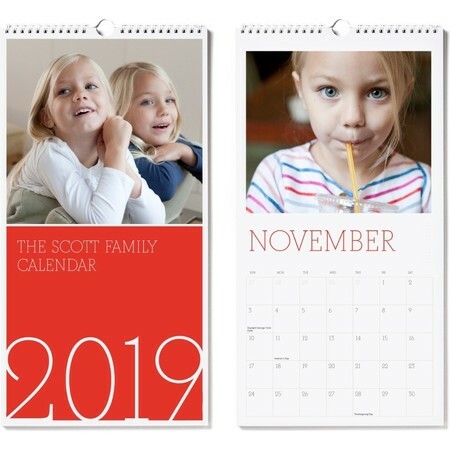 Hang your wall calendar on the wall, the fridge, a bulletin board or above your desk perfect for easy reach and viewing. 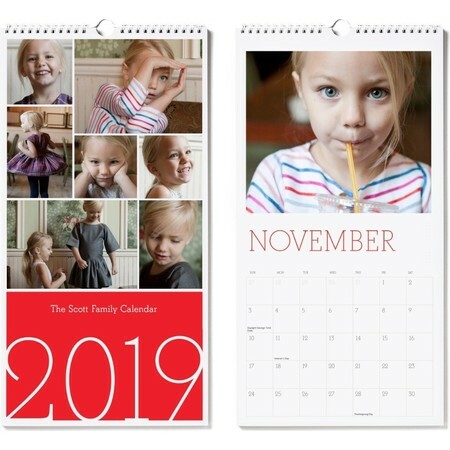 Choose your favorite photos, one for each month, select your favorite color and opt for a modern or classic style font to create the large wall calendar you'll love to look at. Our wall calendar comes with its own hook for easy hanging. 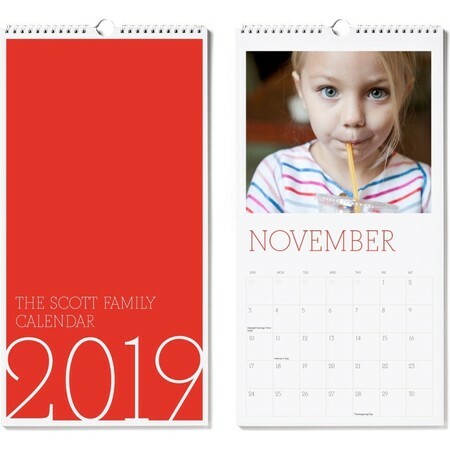 Made with love, this personalized large wall calendar makes a sweet photo gift for Mom, Dad or anyone else on your list.